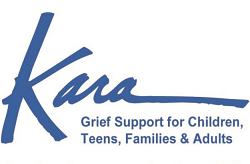 KARA’s mission is to provide grief support for children, teens, families and adults. Our guiding value is empathy. Every day we provide compassion and support to children and adults impacted by loss and grief. Our vision is to see people of all ages compassionately supported on their journey through grief so they can move toward renewed hope and meaning. Our clients include those who are grieving a death as well as those managing a terminal illness (their own or another’s). We know you have many options when it comes to the time and resources you are investing into your community. That’s why we are incredibly grateful that you have chosen KARA’s. The contribution from the sale of your donated vehicle is vital to providing much needed resources that improve and sustain our mission.